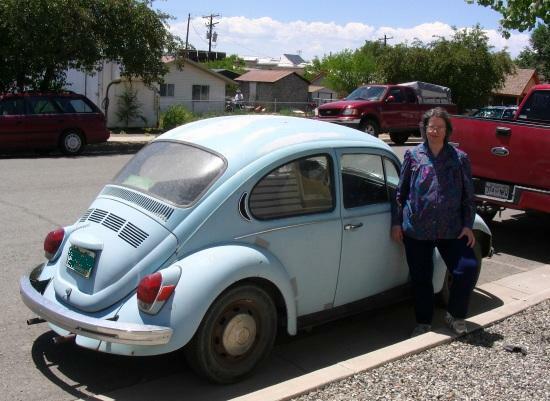 I don’t drive a lot — less than 150,000 miles in 42 years — but still, a car is important to me. Our society is set up where a vehicle is essential to go the long distances our daily lives seem to require. It’s a way of carrying all the food and equipment we need, a way to keep in touch with far-flung families and friends, a way of extending our reach and renewing the views forming the backdrop of our lives. But even more than that, a car spells freedom. My car conked out the other night (actually, it was the fuel pump that conked out), and so I’ve been without transportation, having to rely on friends to get me and my father to his various appointments and to round up the medications he needs. I’ve been without a car before when it’s been in the shop, sometimes for several days, and I used to revel in the freedom of not having to care for such a large and needy object. Often I would go weeks without driving since I prefer traveling on foot when possible. But today, I’ve been antsy, waiting for the mechanics to call and tell me the car is fixed. Even though I might not have driven today since my father needs me here, I feel trapped not having the car around in case I felt the urge to escape my life for just a few minutes. A car is a promise that we can go farther and faster than ever our feet could carry us. It’s a promise that life awaits beyond the confines of our responsibilities. It’s a promise of adventure, fun, freedom. Is that the phone I hear? No, just my imagination calling me. Love the beetle. There were lots around when I was growing up. It was named the love bug by you Yanks. That wasn’t far from the truth. Surfers had them as a cheap, efficient mode of transportation. I remember being in this beetle with this surfer chick…Anyway, here in Oz, they were always that tough German freedom machine. What happened to the graffiti that was supposed to cover it? The photo is pre-graffiti, but even if it weren’t, you wouldn’t see the graffiti because I painted over it. I wasn’t about to drive around or have the car towed with obscenities written all over it. And yet we both walk on a regular basis. Strange, isn’t it? exactly right!! when I first moved to Detroit, I walked everywhere and people looked at me like I was crazy. the “Motor City” spoiled me! Just read it and left a comment – it’s fun to dream, though.